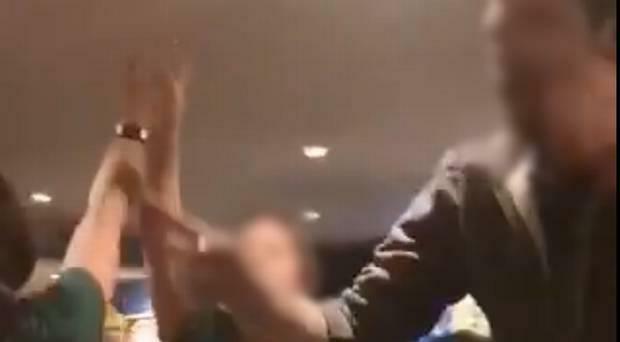 The Irish Football Association has condemned a video containing Northern Ireland fans singing "we hate Catholics". It comes after the video circulated on social media on Monday evening. The video shows a number of people dressed in Northern Ireland replica shirts singing "we hate Catholics, we hate Roman Catholics" to the tune of Tiffany's 'I Think We're Alone Now'. It is unclear when exactly the footage is from. The official Northern Ireland teams account responded to a posting of the video on Twitter saying "this is utterly wrong and we condemn sectarianism in any form". It comes after Northern Ireland defeated Belarus 2-1 in a European Championship Qualifier at Windsor Park on Sunday night. Josh Magennis grabbed a late goal to give the hosts an important win.